The answer is Volunteer Yacht club in Lynn, Mass. My uncle Bob used to take me there flounder fishing. I remember two launch ramps, one on each side of the bay. 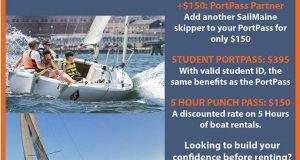 We’d often launch on the Nahant side. Usually it was on a Saturday morning, early, depending on the tide. High, and out-going, were best, and sand worms the bait of choice. The view of the skyline of Boston, and the big white tank, were what gave the location away. The Mystery Harbor shown in the Midwinter issue is that of the harbor in Lynn, Mass., viewed toward Boston and the south-southwest. The day marker sitting on top of a pile of rocks (at the left edge of picture) marks the edge of the channel, and the picture is either taken from the Porthole Pub (now gone) or Seaport Landing, next door. 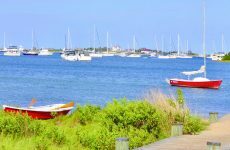 I grew up at a beachside community a couple miles south and used to take my 12’ Old Town wooden lap strake rowboat with a 10hp Gale outboard everywhere in the area as a youngster. 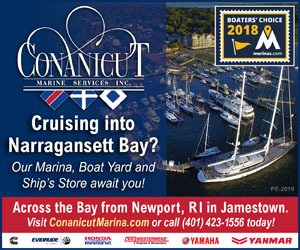 Later, as an adult with young children, we moved to Marblehead, Mass., and twice a day, going-to and coming-from work, I would pass this location. This went on for some 40 years. 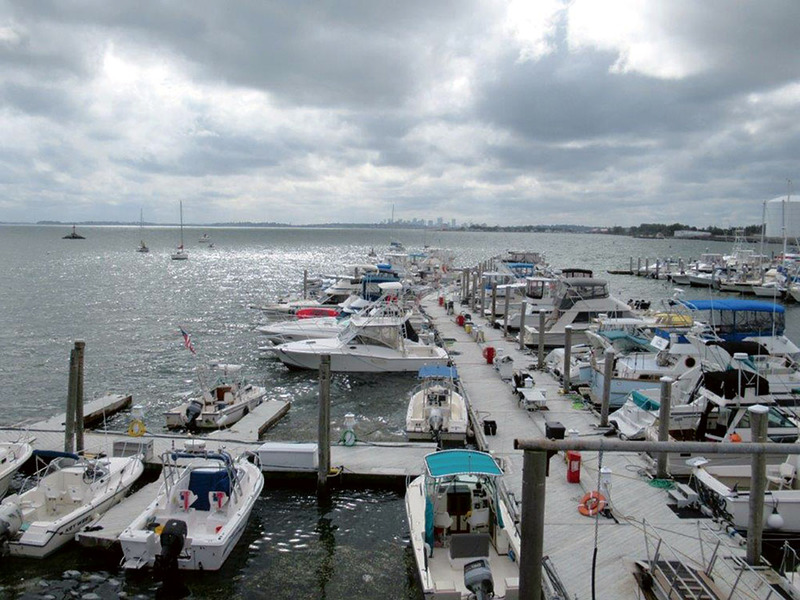 I’m on the membership committee of the Volunteer Yacht Club [in Lynn Harbor]; if the view in the picture captured more of the scenery to the left, my boat would have been in it. I lived on a trawler there back in the ’80s. Well-protected, but a long ride in a narrow channel to get to open water. It’s Lynn Harbor in Lynn, Mass. Pictured in the foreground is the Volunteer Yacht Club, with the Boston skyline in the distance. As a child growing up in the late ’50s and early ’60s my brothers, sister, and our friends would often row from our club, the Point of Pines Yacht Club, in Revere, Mass., to the Volunteer and Lynn yacht clubs, and then take a short walk to the famous, but long-gone Roland’s Ice Cream for a huge, 75-cent hot fudge sundae. 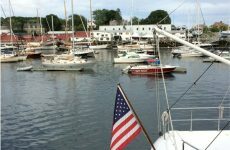 For me, Lynn Harbor is memorable as a harbor of refuge that saved my sailboat during Hurricane Gloria in September of 1985. My boat lived on a mooring in Marblehead, and was quite exposed at the mouth of the harbor there. 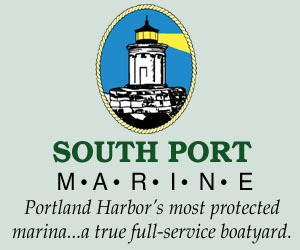 According to the harbormaster, she wouldn’t survive the blow on the mooring. As Gloria approached, I was unable to have the boat hauled. What to do? 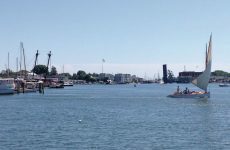 On the day before the hurricane arrived (a beautiful, calm sunny fall day), I sailed down to Lynn Harbor, looking for safety. I found it on a slip, right in the center of the Points East photograph. Using every available line, I secured the boat in a spiderweb of knots and lashings. The next day the hurricane struck in full force and fury. At the height of the storm, I went to check on the boat and had to crawl on my hands and knees to get to her, so powerful was the wind, and so bitter was the driven rain. Not all boats in Lynn Harbor survived the hurricane, but mine did – and so have my memories.